Head And Shoulders Above The Competition. 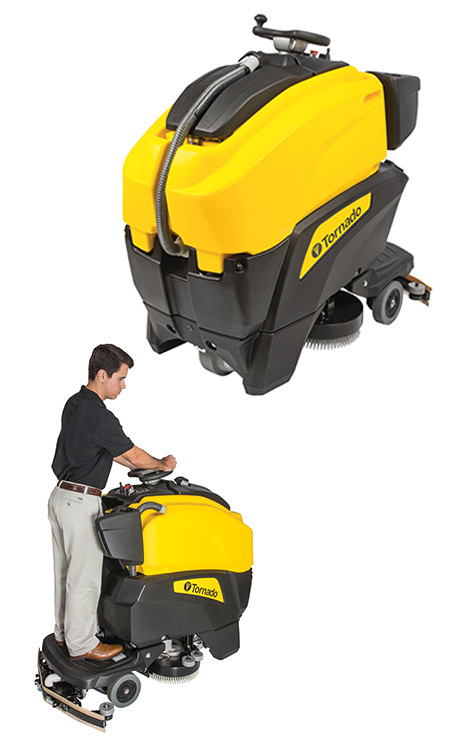 Ride-on scrubbers provide comfort and convenience, while walk-behind scrubbers offer cost savings. The Tornado BDSO 27/28 combines the best of both worlds. Our brand new scrubber covers lots of ground without the operator having to take a single step and maneuvers around obstacles with superior control. Tornado is known for it’s vast offering of products and the BDSO 27/28 only adds to the best automatic scrubber line-up in the industry. Powerful .7 hp drive motor. For more details and information, please download the product brochure.